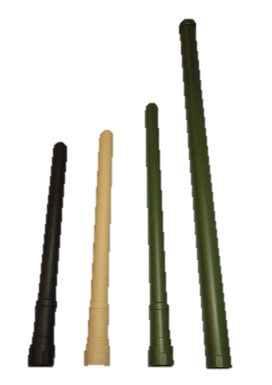 The Tactical Hub Antenna Series are designed to be pole mounted and work with all radios within the 340, 500, 700, 900, 1300, 1900, 2100, 2400, 2700, 3400, 4200, 4400, 4800 MHz bands and also including 5-6 GHz band. These antennas are provided with state-of-the-art radiating elements essentials for maximum reliability and superior performance. Our mounts are of the highest quality. They provide secure reliability with quick and easy installation. Shown to the left. Sold separately.